Dynamic Management has a high quality approach to promoting and presenting professional, fun entertainment across Australia. With an extensive portfolio of Australian and international artists, including some of the world's most popular rock legends, you can be sure the audience is in for a fun filled, good rockin' time. Ian Allen holds a Bachelor of Economics and Master of Administration from Monash University. He spent over 30 years in personnel development, executive secretariat, marketing, customer policy and service and developed wide ranging customer policy initiatives that impacted on more than a million electricity customers throughout Victoria with significant policies introduced Australia-wide. In the early eighties Ian lead an international marketing strategy to attract energy intensive industries to Victoria. He was seconded to the Victorian government to deliver this strategy, which brought major investment to Victoria creating many hundreds of jobs. Ian commenced with Pratt Holdings more than twenty five years ago and has been involved with a range of activities including the arts, philanthropy, corporate citizenship, investment projects, major corporate entertainment, family entertainment and events, recycling, cost reduction programs, property management, aviation and Government relations. He is a trustee of The Pratt Foundation, The Pratt Family Foundation, Visy Cares, Richard Pratt Fellowships in Prostate Cancer, Pratt Global Foundation and the Pratt Family Scholarship Fund. Currently he is a director of Collingwood Football Community Foundation, Blues Foundation, Youth Access Services, Entertainment Assist, Global Poverty Project, Child Wise, Australian Jewish Funders and the Foundation for Rural Regional Renewal. Ian is also a Fellow of the Australian Institute of Company Directors and a Fellow of the Australian Institute of Management. With almost sixty years involvement in the entertainment industry as a performer, musical director, producer, promoter and importer of international artists, he has shared the stage with many acclaimed international artists including Tom Jones, Rick Nelson, Bobby Rydell, Gene Pitney, Johnny Tillotson, Del Shannon, Johnny Preston, Buddy Knox, Chubby Checker, the Shadows, Gerry Marsden, Chan Romero, the Crystals, the Coasters, the Diamonds, Buddy Holly's Crickets and the Platters as well as an array of Australian artists such as Normie Rowe, Glen Shorrock, Doug Parkinson, Johnny Chester, Lucky Starr, Little Pattie and many, many more. The performers on some events were as diverse as Muhammad Ali, Paul Anka, Tony Curtis, Burt Bacharach, Carole King, Cyndi Lauper, Village People, Marcia Hines, Tina Arena, the Pointer Sisters, Missy Higgins, Bob Geldof and the Backstreet Boys. He has been actively involved in producing events in Australia, New Zealand and the USA. Often using a nom-de-plume, Ian has published articles about various aspects of rock-n-roll both in Australia and internationally. Ian has been a Director of the Victorian Rock Foundation, the Australian Contemporary Music Development Company (AUSMUSIC), the Australian Council for Children and Youth Organisations, Youth Junction, Peter MacCallum Cancer Institute, Peter MacCallum Cancer Foundation, Meadow Heights Learning Shop, the Link Centre, Waislitz Foundation, Child Wise, Lakeside Secondary College and a Council member of Philanthropy Australia. 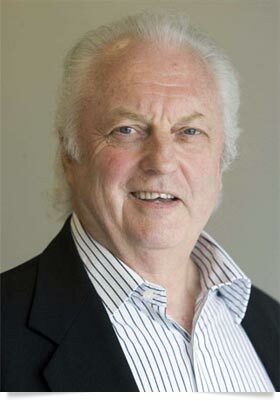 He was awarded an Order of Australia in 1998.